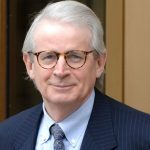 David Stockman: Donald Trump's Right- Everything Rigged Against US Middle Class - Wall St. for Main St.Wall St. for Main St.
Jason Burack of Wall St for Main St interviewed first time guest, former Budget Director for President Ronald Reagan, David Stockman http://davidstockmanscontracorner.com/. David has 40 years of experience working his way up the Republican ranks in DC and also 20 years working on Wall Street. During this 35+ minute interview, Jason starts off the interview by asking David about the real economy on Main St, USA and if there was ever a real recovery on Main St after the 2008 financial crisis? David says there was only a recovery in asset prices and among the people in DC and on Wall St. He says most of Main, St USA is fly over country that the “bi-coastal elites” running the country don’t care about. Jason asks David about inflation in food, rent, healthcare (Obamacare) and other daily necessities. Jason asks David if the Federal Reserve will get permission to start buying US stocks and US corporate bonds soon? David thinks Congress will block it for now. Next, Jason asks David about why Bernie Sanders have become so popular? David says both became popular because of economics and because the economy for the average middle class person is rapidly deteriorating. David agrees with Donald Trump about all the systems being rigged but he thinks the election is in the bag for Hillary Clinton and she will become the first female president in US history. Jason asks David about gold and the war on cash before asking him a handful of listener questions to wrap up the interview.